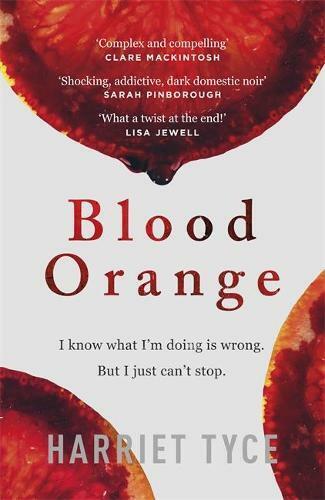 Regular Readings Monthly readers will no doubt remember how obsessed we were by Irish born, Perth-based Dervla McTiernan’s debut crime novel. After turning the final page of The Rúin in early 2018, surviving the wait until we could read her second book seemed impossible, and yet she has kindly given it to us within a year. And not a moment too soon! The Scholar sees Detective Inspector Cormac Reilly embroiled in another gripping tale of murder and deceit. When Cormac’s brilliant partner Dr Emma Sweeney finds a body late one night at Galway University, the crime is too close for comfort. Emma is quickly caught up in an investigation that will have enormous ramifications for her career and personal life. For Cormac, the phone call summoning him to the scene of the apparent hit-and-run is only the first of many moments in this new case when his personal and professional lives will be in conflict. The victim appears to be gifted young scientist Carline Darcy, who is also heir to Emma’s employer, Galway University-based Irish pharmaceutical giant Darcy Therapeutics. McTiernan effortlessly plunges Cormac into the viciously competitive world of academia and big pharma, among big brains and even bigger egos. With a racing plot (another one!) and visceral details, McTiernan draws the reader into this fraught environment in which Emma has been pursuing her career with skill and integrity for years. Or has she? As Cormac meets – and investigates – more of her colleagues, the path ahead becomes less clear, the stakes are raised, and, as the case progresses, doubt is even cast upon the past. This is another thrilling tale that delivers on all the promise of McTiernan’s debut – not to be missed. One day police detective Abigail Boone left for work and did not come home. Three days later she woke up following a bloody, violent showdown. Boone escaped with her life and a handful of injuries, but without her memory. Her husband knows her as Abby and her son knows her as his mother, but she does not know either of them. All she really has left is the determination to find who did this to her, and to find Sarah, the missing woman on whose case Boone was working when she left for work that day. Following Boone as she moves farther away from her old self and into her new existence is compelling reading. British crime fiction has really embraced psychological crime, and often has a style that stays very much in characters’ heads. This approach delivers the full experience of Boone – flawed, confused, brutal, and someone I didn’t want to let go of, just as she doesn’t want to let go of herself – while revelling in the excitement of not knowing what happened before, or what might come next. It crackles with wit. It’s a sweltering Newcastle summer and Lachie Munro – painter, generally good guy, ‘known to the police’ – thought he was going to spend his afternoon giving a quote for a job to a guy who owns a milk bar, and maybe get himself an icy cold milkshake to boot. Instead, the two of them find themselves at the barrel end of an armed robbery – and the easy life Lachie had almost built up is about to get a lot more complicated. He’s about to discover that things at the milk bar aren’t all just milkshakes and lollies, and worse still, he has the unsettling feeling that despite the balaclava on the other end of that shotgun, Lachie might just recognise the man who robbed him. But thinking about who might be behind that balaclava (and who’d wear a balaclava in this weather!?) is easier said than done when your apprentice might be in a spot of trouble and an old ‘business associate’ is trying to interest you in some ‘work’. Hiding to Nothing is light, punchy and interesting as hell, full of good intentions, great blokes, bad types and worse behaviour. From page one, this is as refreshing as a cold beer on a hot day. British psychological crime’s favourite thing to do is take a successful woman, give her a secret, and ruin her life. In Harriet Tyce’s debut, criminal barrister Alison does not have secrets, since her flaws are out in the open: her drinking problem leaching into every part of her life, her on-again off-again affair with a colleague, her parenting called constantly into question. Despite all this, she finally lands the lead on her first murder case – but the killer, a woman who stabbed her husband to death, is determined to plead guilty. Unsure of the woman’s motives, Alison’s investigation into the case causes her to question what really happened – before she realises she has some unanswered questions about her own life. A twisted psychological thriller. A teenager dies on Gallowstree Lane, stabbed in the heart of London’s gang problem. The death of someone so young should paralyse a city, but for DI Kieran Shaw, the death of an unimportant gang member only serves to hamper his investigation into the Eardsley Bluds, the syndicate that has London by its teeth. Not everyone is so dismissive, though, and the ramifications of the young man’s death on those around him – the friend who witnessed his murder, DI Sarah Collins (the first on scene and no friend of Shaw), and eventually, Shaw himself – will reverberate out onto London’s streets. A crisply written, punchy police procedural. If, like me, you enjoy a hearty snack alongside your reading material, you might want to keep the fridge closed on this one. Timothy Blake – once a consultant for the FBI, now a professional solver of riddles – has a side hustle in body disposal for a local crime boss. He favours a delicate procedure more commonly known as ‘cannibalism’. When he encounters a dead body in the woods while waiting for a job, he can’t help but take a tiny bite – but he can’t leave behind a body with his DNA on it. Then, Blake receives a call from his FBI handler and old friend, Reese Thistle, to help out with a missing persons case. He soon realises that said person is not in fact missing, but in his freezer. So all Blake needs to do is solve a crime without giving himself away, try not to get murdered by his boss, and not eat his partner. After the success of her 1930s-set historical crime, The Portrait of Molly Dean, Kovacic returns with a modern-day tale of art intrigue. When a supposedly cursed painting is exhibited in a premier Melbourne museum, art dealer Alex Clayton and conservator John Porter don’t take the idea seriously. That is, until somebody falls ill and damages the painting, and the restoration process is immediately halted by the death of the museum’s senior conservator. As Alex and John investigate what is really behind the tragedy, Alex’s loyalties are called into question when the museum offers her the job she’s always wanted – and the truth may cost her everything she’s worked towards. There’s something so thrilling about watching other people’s excitement over books – and the enthusiasm I’ve seen from booksellers Australia-wide over the new Don Winslow has been electric. The Border is the conclusion to Winslow’s Cartel trilogy and sees Art Keller soaring high in America’s drug enforcement after forty years immersed in the war on drugs that has ravaged not only the country he lives in but his beloved Mexico. Winslow continues his epic, shocking shakedown of America’s cartels, everyone who feeds into them, is paid by them – and is ruined by them. In case you sometimes think, ‘all this murder is a bit exhausting and I’d like a bit of a break,’ it’s time to go back to the unfairly prolific Älexander-with-an-umlaut McCall Smith, who has taken it upon himself to invent a new genre: Scandi-blanc. The polar opposite of Scandinoir’s traditional vibe (e.g. dead bodies leaking dramatic red blood onto snow), the No 1. Ladies’ Detective Agency author instead features Ulf Varg, a Swedish detective who solves minor leg injuries, searches for missing persons who might not even be persons, survives his colleagues and cares for his lip-reading dog, Marten. The Chalk Man cemented C.J. Tudor as one of Britain’s premier horror crime authors. It’s good to see her back to make readers shiver with delight all over again. Joe Thorne returns to his English hometown to apply for a job at the miserable school he attended. Joe’s not there for money – though he does need it – but because he received an anonymous email. It’s happening again. And all those years ago, when Joe’s eight-year-old sister went missing for forty-eight hours, she came back different: she was no longer Annie Thorne, no longer Joe’s favourite person, no longer herself. It won’t be long before Joe finds out what that email meant – and he might wish that he hadn’t. In Leon’s twenty-eighth Commissario Brunetti novel, everyone’s favourite Venetian detective is given a somewhat different task – to investigate his father-in-law’s old (and elderly) friend, who wants to adopt a much younger man as his son, which has raised everyone’s suspicion. While not as traditionally deadly as some of her others – the criminal side of things doesn’t kick in for a while – this is as strong as any of Leon’s novels. She is a master of both character and the city of Venice. Meg Keneally and Tom Keneally return with their fourth Monsarrat book, The Ink Stain (Random House, PB, $32.99); a very good but probably hard-to-search-for title with Anthony Good’s Kill [redacted] (Atlantic Books, PB, $29.99); Camilla Grebe’s After She’s Gone (Bonnier, PB, $29.99); a journalistic thriller with Holly Watt’s To the Lions (Bloomsbury, PB, $29.99); a new Robert Goddard with One False Move (Bantam Press, PB, $32.99); Amy Lloyd’s One More Lie (Random House, PB, $32.99); Karen Rose’s Say You’re Sorry (Headline, PB, $29.99); Gregg Hurwitz’s Out of the Dark (Michael Joseph, PB, $32.99) … and more!